Today, a day during what is probably the most recipe-heavy week of the year, I’m here to talk about a fall recipe I recently made – using wheat berries. I’ve mentioned cooking with them once before, but hadn’t done so since then. I was recently selected to partner with the Grain Foods Foundation to bring you a post on the grain of my choice, and I selected the one I thought the least amount of you may have heard of. Might as well make this post useful! I like using wheat berries so much more than a dish base like pasta, because of their hearty texture, which is similar to barley or farro. You can usually find them in bulk bins, but my local store didn’t have any and I still found a bagged version. Milled wheat berries become whole wheat flour, so clearly they are a great source of whole grains. And they’re so easy to make – just put them in hot water on the stove top. 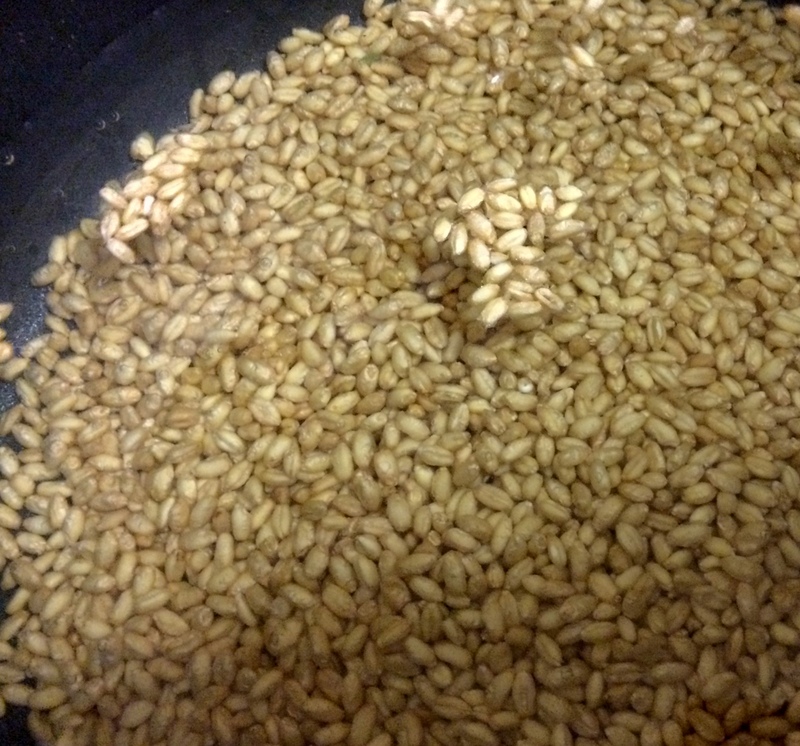 When I cooked mine, I put the wheat berries (in water) on the stove and brought the water to a boil. If you keep a watchful eye on the pot and stir it every now and then, you don’t have to stick around and watch them cook. That is one of the top factors I look for when selecting a recipe. 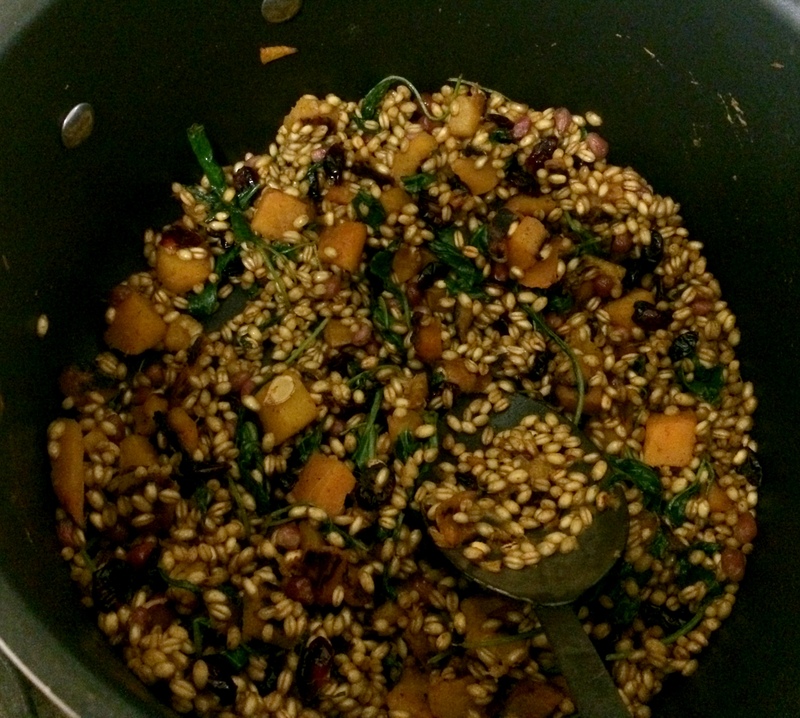 I selected Kath’s Ultimate Fall Wheatberry Salad for this post because it seemed to be just what it advertised – an ultimate fall dish. I would definitely recommend making this for your Thanksgiving table! I used dried cranberries instead of fresh since I had some on hand, but I think it would definitely be more enjoyable with those (I was just being cheap). I also skipped the brown sugar and cinnamon because I didn’t have any on hand…also don’t recommend doing that. It would have been worth it to spend some extra money and enjoy the salad more! For my purposes, I ate this solo over a few evenings, so in that sense it’s a great recipe to select for meal prep and making in batches. But it would also be right at home on the kitchen table of a big group, on a crisp and cold evening. I think the wheat berries are a huge part of why the recipe is perfect for the fall and winter; during that time of year, I always crave heartier dishes. 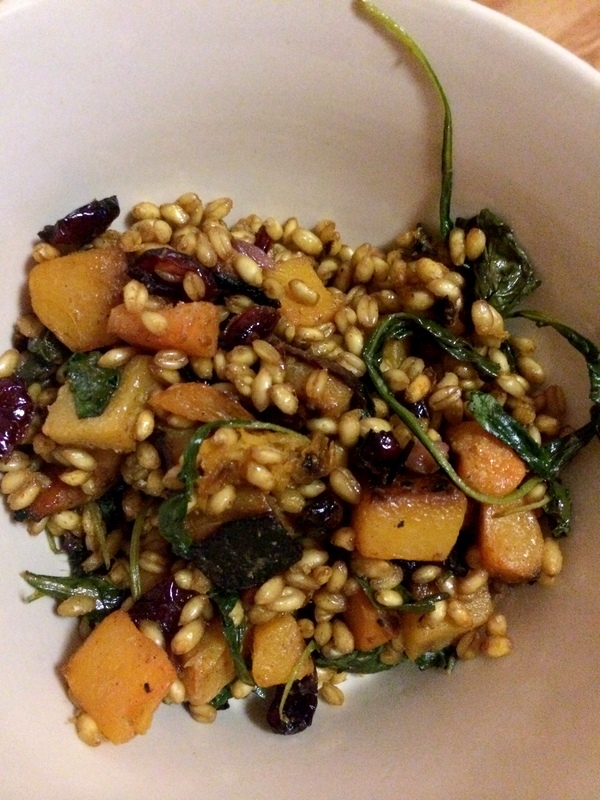 Wheat berries are a great way to make a dish hearty with the added benefits of whole grains. You could really replace any grain like pasta, farro, or barley with wheat berries, so don’t feel stuck with this recipe. Take your favorite pasta dish, and try it with wheat berries. Perhaps use them to replace your morning oatmeal when you need a breakfast makeover. That’s another great thing about grains – one can so easily be swapped for another whenever you need a change of pace. And any whole grain will give you the benefits being reported by the Grain Foods Foundation. Have you ever cooked with wheat berries? Got any whole grains recipes to share? This post is sponsored by the Grain Foods Foundation. All opinions are my own.